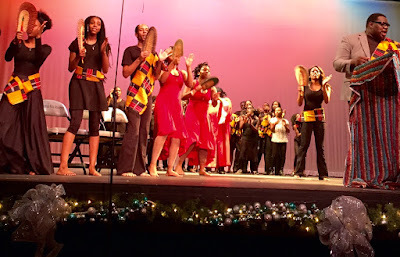 Coffee With Hallelujah: GLORY: We are invited to be REBORN in community witnessing "Black Nativity"
GLORY: We are invited to be REBORN in community witnessing "Black Nativity"
GLORY! GLORY! GLORY! 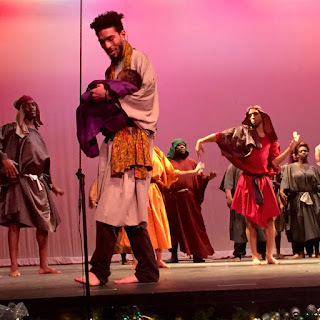 The actor embodying a Reverend in Langston Hughes' play, "Black Nativity," during Act II shouted and sang out to the audience to join him in voicing appreciation for the FREEDOM that we have been given through the birth of Jesus. "HALLELUJAH," the word with which I begin most every blog post, is a similar word expressing immense celebration of life and it riches. In fact, don't we often hear the two words together? GLORY HALLELUJAH? GlORY HALLELUJAH for the FREEDOM we have during our lives on this beautiful EARTH. GLORY HALLELUJAH for the opportunity to be REBORN during this season of renewal and rebirth while celebrating the birth of Jesus. Minutes into this highly energetic and uplifting performance of "Black Nativity," I suddenly realized the performers weren't just "acting" and the audience members weren't just being entertained. The "Amens," "That's the WORD!," and "That's right!" being voiced behind my husband and me (we were sitting in the front row) were evidence of a wholehearted participation in the meaning and content of this gospel Christmas performance. It felt like we were in church! And, although I am a Spiritual Art Pilgrim, I am not a Christian and church going is not a regular practice in my life. So, for a brief moment, I felt like the awkwardness of being SOMETHING OTHER. I was not one of the TRUE Christian believers celebrating the birth of Jesus and the freedom of grace he brought them. As I take one step away from belief and entertain Christ's birth as a symbol of renewal, was I violating something sacred to these performers and audience members ? BIBO (Breathe in, Breathe out). My recovery came quickly. 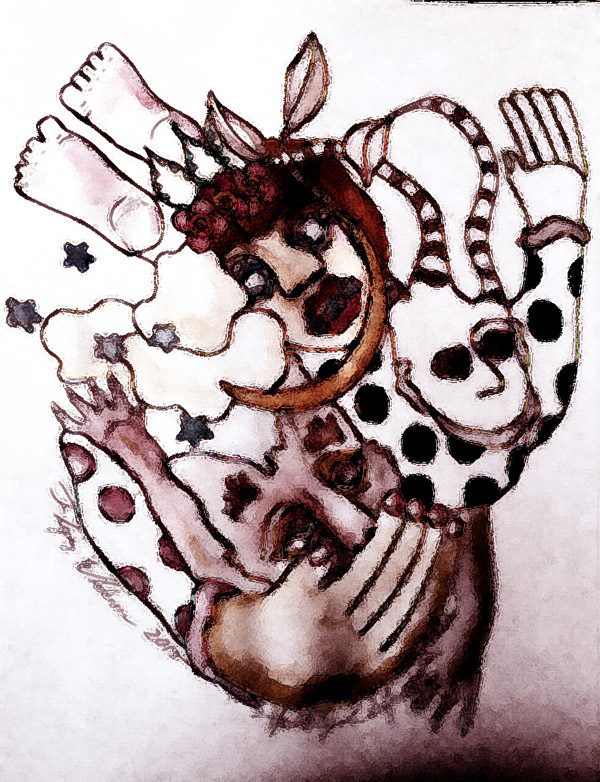 "WE ARE ALL CONNECTED," is one of my mottos. I am Hallelujah Truth and I believe in LIVING the MYSTERY, both SOLO and in COMMUNITY. GLORY HALLELUJAH! I support Birth, Rebirth, Resurrection, Redemption, Forgiveness, Love, and perpetual Renewal. As we have just experienced the longest night of darkness in 2015, I celebrate the LIGHT and HOPE that comes as the world turns on its axis and rotates around the sun. As the daylight hours lengthen after the Winter Solstice, I too, celebrate. As Christians celebrate the birth of baby Jesus, I celebrate this birth too. GLORY. GLORY. GLORY. I say GLORY HALLELUJAH! Wishing everyone this experience of feeling WHOLENESS and being LOVED and NURTURED. Renewal is ours to claim. It is FREE. 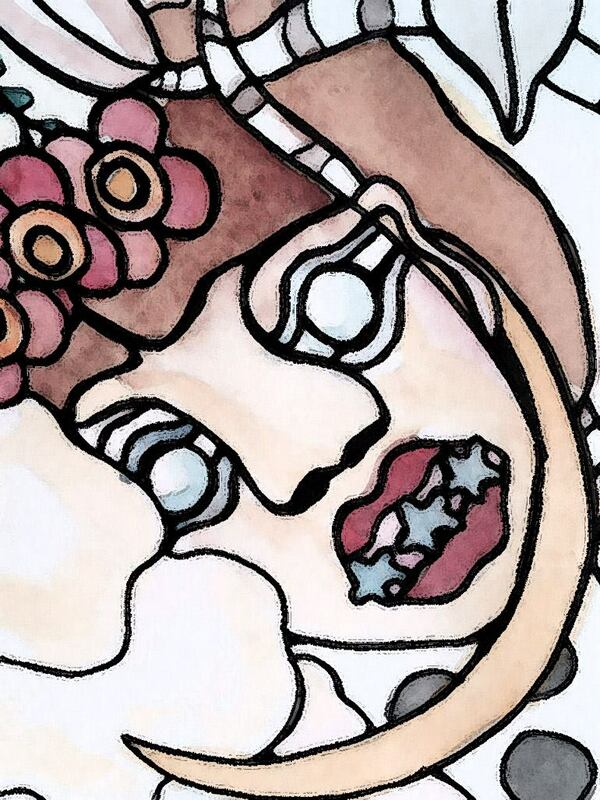 (Close up from FLYING WHOLENESS (above). GLORY HALLELUJAH for Baby Jesus and renewal of our all SOULS. 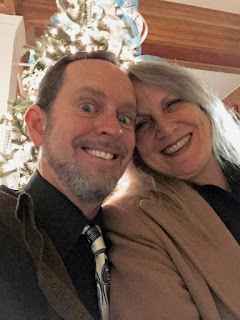 As my husband, Chiboogamoo, and I celebrated our 11th wedding anniversary, we marveled about our opportunity each year to see our marriage within this cyclical celebration of rebirth. Our anniversary falls one week before Christmas and two weeks before New Years. Merry Christmas and Happy New Year from our hearts to yours! Acknowledgments: Thank you to the Performing Arts Collective, who opened our eyes to the presence of the "Black Nativity," a Christmas story of the black experience by Langston Hughes. We were surprised by being the only white members in the audience. This experience is important for all people. 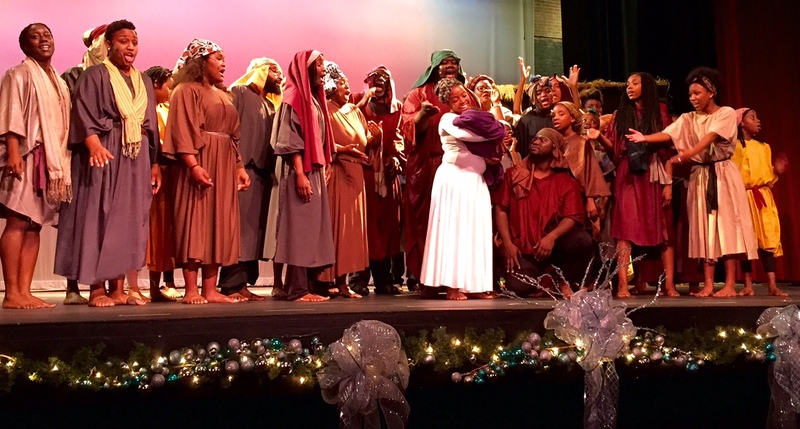 We will be sure to expand our experience next year by seeing the Atlanta performance of "Black Nativity." Gratitude to Ann and Andrew Hartzell for being our Savannah hosts who bring us so much joy.